The Town Pound on Pound Road in Farmington. Members of the Historical Society cleaned up around the Town Pound on Sunday, August 10, at 1:00 PM. 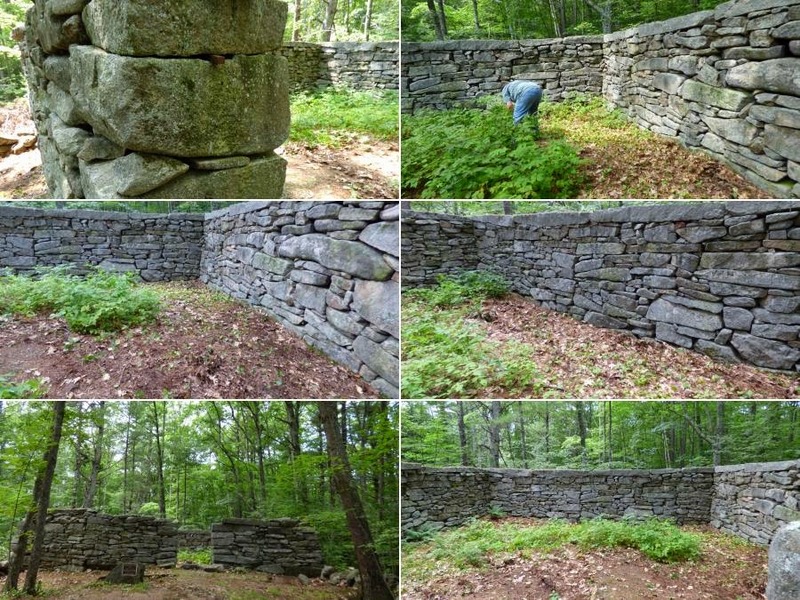 The clean up did not take too long, but the Society hoped that sprucing up the historical site will allow for easier recognition and appreciation of our landmark. The Town Pound was listed on the National Register of Historic Places in 1993. The Pound was sold to the Raab Family in 1918 after it was no longer in use by the town. 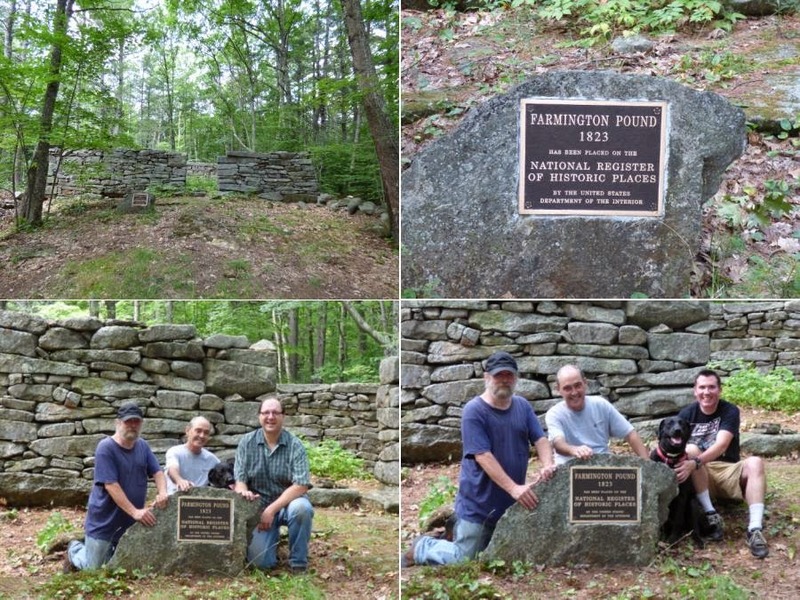 The family donated the structure back to the Town of Farmington in 1975. 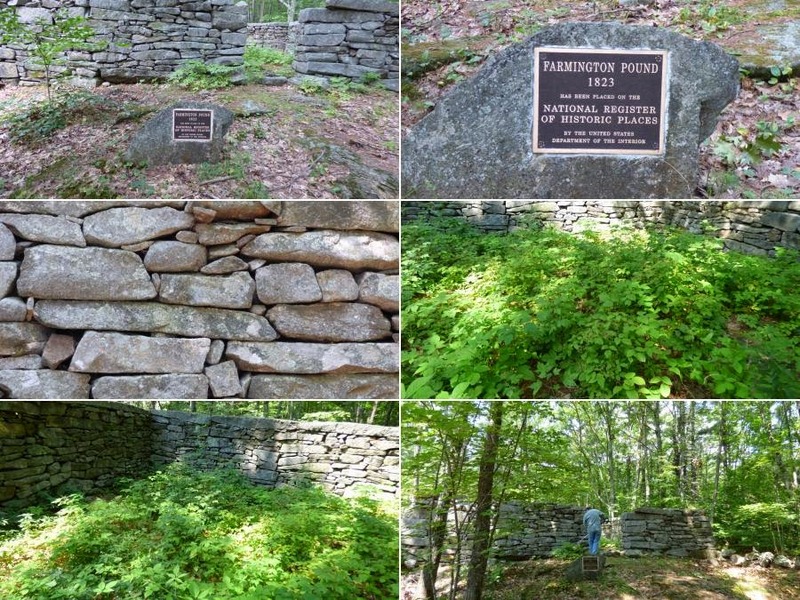 The Town Pound site is maintained by the Farmington Historical Society. The Society hopes to continue improvements to the site. Collage of photos before clear up began. Collage of photos after the clean up. Historical Society Members display their hard work. The pound occupies a small lot measuring 120 feet by 130 feet in the geographical center of the town. The balance of the parcel supports a young growth of mixed hardwood and conifers. The pound was built in 1823 by the Town of Farmington to replace an earlier wooden structure that was built in 1802. It is one of a few well-preserved pounds in southeastern New Hampshire. It remained in use until late in the 19th century. It was sold to a private owner in 1918. Eventually, it was given back to the town, and is now maintained by our historical society.